Make your mark on the world by crafting new solutions to various social challenges. By studying our Bachelor of Social Science degree you will gain an empowering qualification that leads to rewarding careers in diverse fields. This degree will see you develop cultural sensitivity, ethical awareness and a solid understanding of the systems that define our world. Social Science is the study of social relationships, structures and issues. Through core and elective courses, you will learn to analyse, challenge and gain insight into globally significant theories about gender, class, race, crime, illness and health, work, social justice and social organisation. You will also explore the exciting complexities of the human social experience and learn to apply the research methodologies of social science to the societies in which we exist. Pursue what interests you. Choose a specialisation from 11 diverse social science majors to enrich your learning and employment options. Graduate work-ready through hands-on learning and the opportunity for a minimum of 80 hours work experience as part of your degree. Be part of an enriched learning environment. 90% of our Social Science students are impressed with the teaching quality at the University of Newcastle and we are global leaders in the areas of Sociology and Geography. Develop in-demand skills transferrable across industries like advanced social research techniques, high-level communication, problem-solving, socio-cultural awareness and teamwork. Graduate with Honours – for one extra year of study at the end of your degree, you can refine your practical research skills and enhance your career prospects by completing the Honours program. Careers stemming from this degree are broad and varied. You will work closely with our Careers Service to align your majors and courses to where you would like to specialise. Whatever your preferred career path (eco-tourism, event management, human services, human resources, global health to name a few), you will graduate from UON with work-ready skills and transferable attributes that are attractive to employers. Common areas of employment for Bachelor of Social Science (Honours) graduates include social research, management and policy work for government and non-government agencies. You may also find work in the private sector, particularly in areas relating to your major. For instance graduates of the Community Welfare and Human Services major may find work with a variety of government and private welfare agencies. Graduates majoring in Sociology and Anthropology can find employment in a variety of roles in many different types of organisations. The list below provides typical job titles for graduates from this major. Not everyone uses their degree in the same way and the transferable skills gained through university study may allow graduates to pursue a range of careers that might not be directly linked to their study. Below is a sample list of job titles that might be suitable for graduates with the skills gained with a major in Sociology and Anthropology. Graduates majoring in Psychology Studies can find employment in a variety of roles in many different types of organisations. The list below provides typical job titles for graduates from this major. Not everyone uses their degree in the same way and the transferable skills gained through university study may allow graduates to pursue a range of careers that might not be directly linked to their study. Below is a sample list of job titles that might be suitable for graduates with the skills gained majoring in Psychology Studies. The following list provides some example jobs relevant to graduates majoring in Politics and International Relations. Some of these jobs may require further study, experience or a combination of both. Not all graduates will use their degree in the same way. The transferable skills gained through university study allow graduates to pursue a broader range of career pathways. The list below demonstrates some of the broader possibilities for Politics and International Relations graduates. Again, some of these jobs may require further study or experience. The following list provides some example jobs available to graduates majoring in Linguistics. Some of these jobs will depend on the amount and level of study undertaken, level of experience, the combination of other majors and electives studied, while some may require further study. Not everyone uses their degree in the same way and the transferable skills gained through university study may allow graduates to pursue a range of careers that might not be directly linked to their study. Below is a sample list of job titles that might be suitable for someone with the skills gained from a major in Linguistics. The following list provides some example jobs relevant to graduates majoring in Leisure and Tourism Management. Some of these jobs may require further study, experience or a combination of both. Not all graduates will use their degree in the same way. The transferable skills gained through university study allow graduates to pursue a broader range of career pathways. The list below demonstrates some of the broader possibilities for Leisure and Tourism Management graduates. Again, some of these jobs may require further study or experience. The following list provides some examples of job titles that may be suitable for a graduate majoring in Community Welfare and Human Services. Some of these jobs will depend upon the amount and level of study undertaken, level of experience, and the combination of other majors and electives studied, for example some may require further study. Not everyone uses their degree in the same way and the transferable skills gained through university study may allow graduates to pursue a range of careers that might not be directly linked to their study. Below is a sample list of job titles that might be suitable for someone with the skills gained from a major in Community Welfare and Human Services. The following list provides some example jobs available to graduates majoring in Human Resource Management and Industrial Relations. Some of these jobs will depend on the amount and level of study undertaken, level of experience, the combination of other majors and electives studied, while some may require further study. Not everyone uses their degree in the same way and the transferable skills gained through university study may allow graduates to pursue a range of careers that might not be directly linked to their study. Below is a sample list of job titles that might be suitable for someone with the skills gained with a major in Human Resource Management and Industrial Relations. The following list provides some example jobs available to graduates majoring in Human Geography and the Environment. Some of these jobs will depend on the amount and level of study undertaken, level of experience, the combination of other majors and electives studied, while some may require further study. Not everyone uses their degree in the same way and the transferable skills gained through university study may allow graduates to pursue a range of careers that might not be directly linked to their study. Below is a sample list of job titles that might be suitable for someone with the skills gained during the Human Geography and the Environment major. The following list provides some example jobs available to graduates majoring in History. Some of these jobs will depend on the amount and level of study undertaken, level of experience, the combination of other majors and electives studied, while some may require further study. Not everyone uses their degree in the same way and the transferable skills gained through university study may allow graduates to pursue a range of careers that might not be directly linked to their study. Below is a sample list of job titles that might be suitable for someone with the skills gained from a major in History. The following list provides some example job titles that may be available to graduates with a major in Aboriginal Studies. Some of these jobs will depend on the amount and level of study undertaken, level of experience, the combination of other majors and electives studied, while some may require further study. Not everyone uses their degree in the same way and the transferable skills gained through university study may allow graduates to pursue a range of careers that might not be directly linked to their study. Below is a sample list of job titles that might be suitable for someone with the skills gained from a major in Aboriginal Studies. In your third year of study, you can choose to take part in a work placement program. With supervision, you will locate and undertake an 80-hour work placement with organisations involved in social research, education or community service. This direct experience will provide invaluable exposure to researchers and managers. Curious about the past? Learn more about the History major within the Bachelor of Social Science and Bachelor of Arts at UON. Explore global power relationships and expand your knowledge of the world. 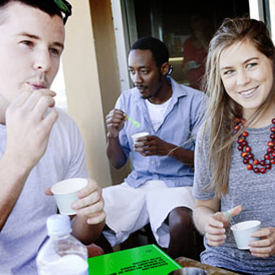 Study a Politics and International Relations major within the Bachelor of Social Science at UON. Learn about how we construct meaning in our lives or how different societies and people function - from gender and social class through to politics. Find out about our Sociology and Anthropology major within the Bachelor of Social Science at UON. What's it like to study a PhD? 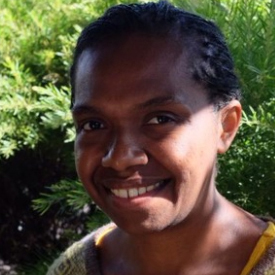 Lana Takau from Vanuatu speaks to ABC1233 about her experience studying a PhD in linguistics at UON.